Selling a front disc for a 750 GT. Bought a replacement for what I thought was a warped disc that turned out to be a hub defugalty. Its measured run-out is at between .002-.003". $250 USD + shipping from Vancouver BC. Last edited by geodoc on Mon May 07, 2018 2:12 pm, edited 4 times in total. Is the OD 278mm or 280mm? 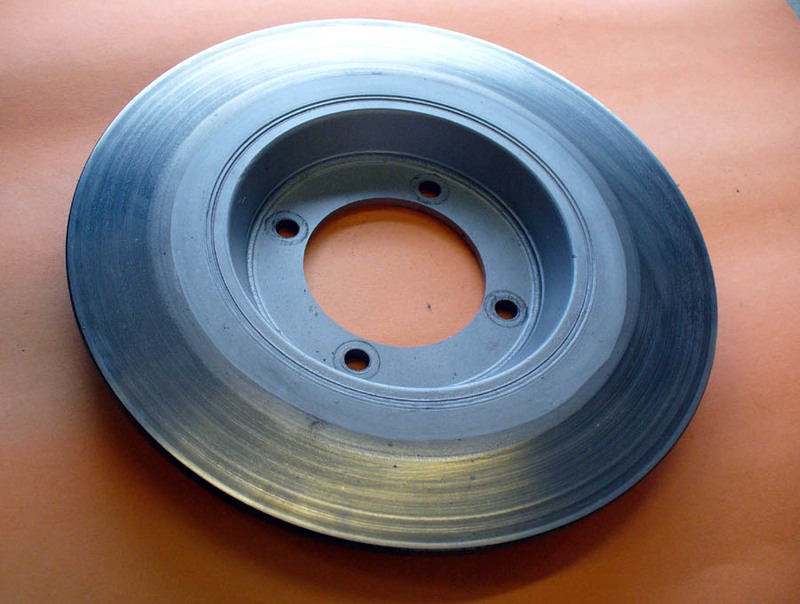 This is the disc I removed from the bike as I got it as a rolling basket case in 2014. I'm led to believe it was last running before it threw the chain through the engine case in the early 90's. It seems likely that this is the disc that it came with as delivered new. Last edited by geodoc on Fri Mar 09, 2018 2:00 pm, edited 1 time in total.